SUCCESS TODAY: Entrepreneurs & Professional Share Their Secrets for Health, Wealth & Happiness Today! 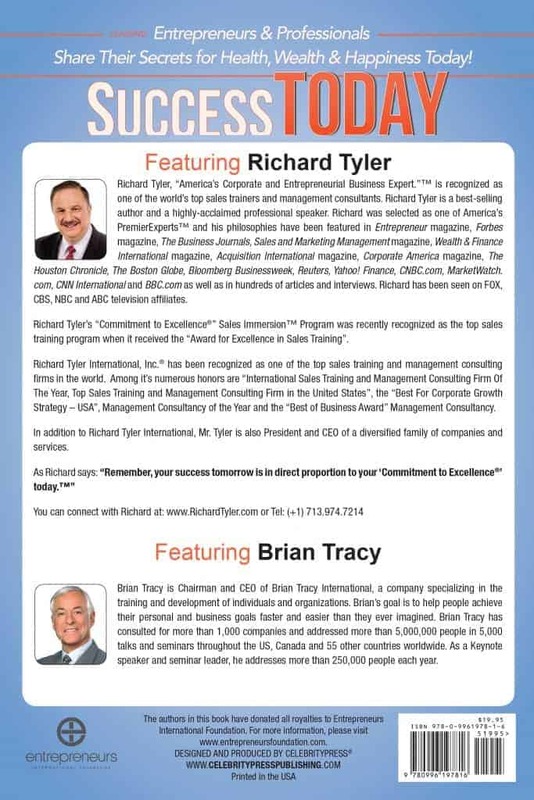 Featuring – Richard Tyler, Brian Tracy and Leading Entrepreneurs & Professional from Around The World. 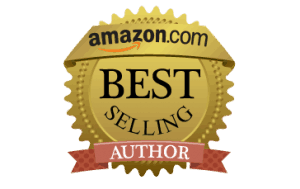 Richard Tyler is a Best Selling Author and the World’s Top Sales Trainer and Management Expert. 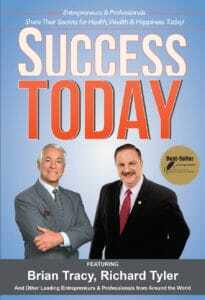 Brian Tracy is a Best Selling Author and one of the World’s foremost Success and Business Experts. Few topics have been written about as much as SUCCESS. Even among most seriously-discussed subjects like religion and politics, the concept of success plays a critical role. Something just as interesting is that success means different things to each of us. This reflects the individuality that we enjoy. In a commercial context, success is most often measured using the currency of exchange as well as the achievement of goals. Philosophically, success may even be the attainment of a mental state of satisfaction as a result of your actions or thoughts. Whichever way you look at it, success is a topic of interest to everyone. 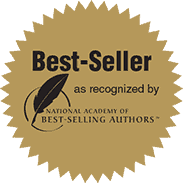 The PremierExperts® in this book allow you see their formulas for success, and through their experiences, offer many valuable lessons (including errors to avoid) that are particularly meaningful. Just as action is an integral part of success, mentoring means a faster rate of achievement. However, despite our changing world, we know that the basic tenets of success remain the same, no matter how fast the pace. The PremierExperts® in Success Today are willing to mentor you. They have lived what it is all about. . . . These Leading Entrepreneurs & Professionals From Around The World Share Their Secrets For Health, Wealth and Happiness Today!